One reason why I don't draw animals often is because I hate drawing fur. It is really challenging to get the light reflecting off the fur perfectly where there is good texture. Also, when you do figure out how to draw the fur, it is very time consuming. 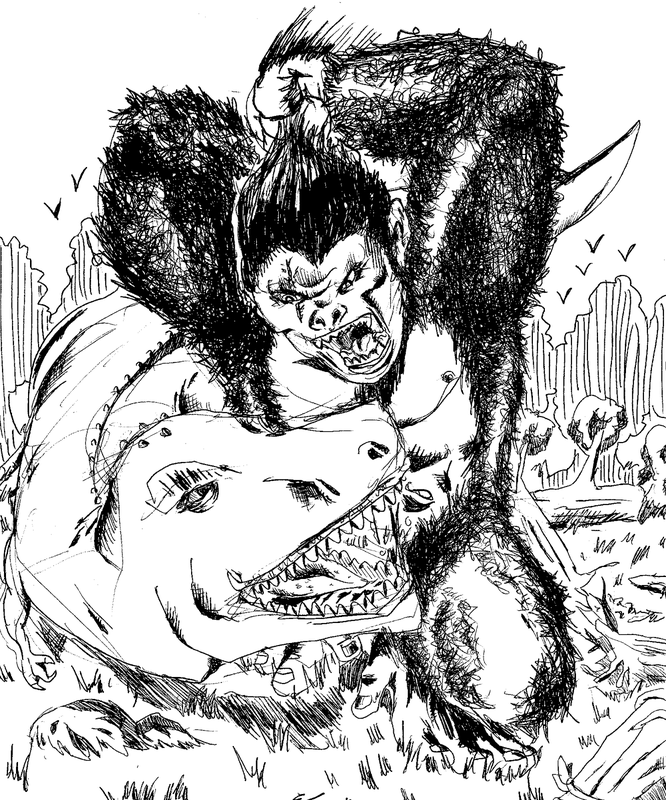 However, this drawing of King Kong beating on a dinosaur gave me an excuse to stretch my drawing muscles a little. I love the original King Kong ride on the Universal Tram Tour ride. It was super intense for a giant animatronic. And the current King Kong part of the Universal Tram Tour ride is pretty crazy too. I drew this all with a ball point pen. As crazy as it sounds, you don't always need fancy drawing equipment to make a good picture. It is more how you use the tools.